Egypt closed a €2 billion euro-denominated two-tranche bond issuance on Monday that was 3.8x oversubscribed, the finance ministry announced in a Facebook statement on Tuesday. This is the first time Egypt has issued bonds denominated in euros. The two tranches consisted of bonds with maturities of eight years with 4.75 percent yield, and bonds with maturities of 12 years with a yield of 5.625 percent. Over 350 investors from 35 countries made purchase orders worth 7.5 billion euros. From 3 and 6 April, a delegation from the finance ministry led by Minister Amr El-Garhy engaged in a road show in the United Kingdom, Germany, Italy and France to meet with European investors. “It is worth noting that many investors expressed their appreciation and praised [Egypt’s] macroeconomic developments and the improvement of [macroeconomic] indicators recently,” the statement read. The finance ministry said the bond issuance reflected the trust of international finance institutions and confidence by the international community in Egypt’s reform efforts. The funding will be used to support the Central Bank of Egypt’s international reserves. The cash equivalent in EGP will be used to finance the state budget. The issuance was managed by Deutsche Bank, BNP Paribas, Alexbank Intesa Sanpaolo and Standard Chartered. Egypt had raised $4 billion in a dollar-denominated Eurobond sale that closed in February this year. 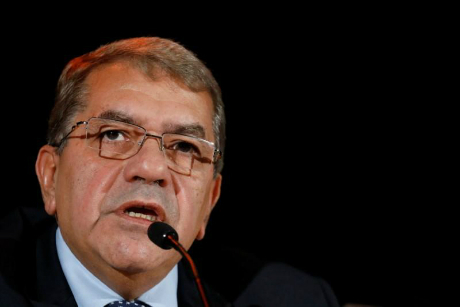 Last year, Egypt sold $7 billion in five-, 10- and 30-year dollar-denominated bonds.